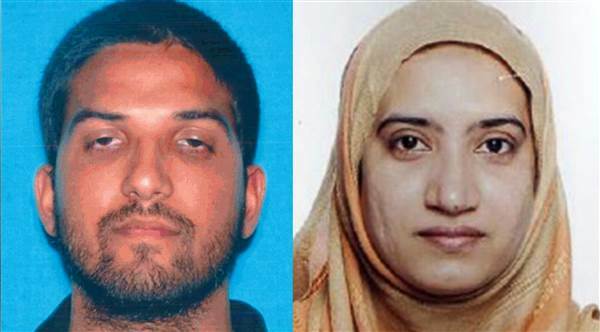 Tashfeen Malik and Syed Rizwan Farooq fit the pattern perfectly. I’ve been posting the findings of serious research into what leads someone to radicalize and kill for some time now and will continue to do so as I read and learn more. Meanwhile assertions that the Quran made them do it defy the fundamentals how the world works and ignore the realities that at least better informed security services study and follow. No-one picks up and reads a copy of the Quran, and in pious isolation from the outside world comes to believe it is the word of Allah and goes out on a killing spree. No-one, except maybe some truly mentally deranged person. Scene 1: A secular democratic Western nation, one with an ongoing history of involvement and support for Western wars against Muslim countries (Iraq, Afghanistan, Yemen, Somalia, Syria) and support for dictatorial regimes (Egypt, Saudi Arabia). We won’t mention Israel. Scene 2: Pakistan, more specifically the northern regions of Pakistan (especially Multan) where there is strong support for jihadist ideology and the Taliban. Scene 3: We can throw in Saudi Arabia here perhaps as something of a holiday resort. Syed Rizwan Farooq: Dysfunctional family background, devout Sunni Muslim, American citizen and son of immigrants from Pakistan. Polite and generally accepted by the community. Educated and with a middle class job. Looking for a wife. Tashfeen Malik: Strong Islamist (anti-Western) family background in Pakistan. Well educated and upper middle class. Looking for a husband.